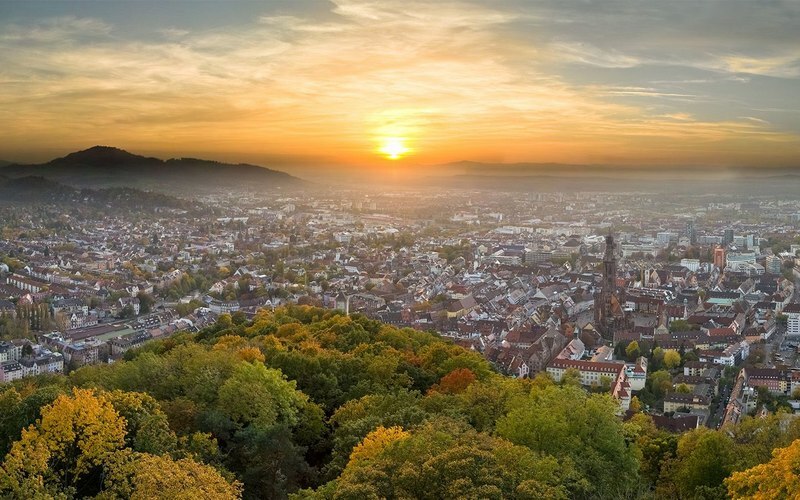 Freiburg im Breisgau, a vibrant university city in southwest Germany’s Black Forest, is known for its temperate climate and reconstructed medieval old town, crisscrossed by picturesque brooks (Bächle). In the surrounding highlands, hiking destination Schlossberg hill is linked to Freiburg by a funicular. With a dramatic 116m spire, the Gothic cathedral Freiburg Minster towers over the central square Münsterplatz. You can explore the webpage of the University of Freiburg and visit the Welcome Center for help and information. In addition, find out more about the city on the oficial site for the city of Freiburg, visit-Freiburg or Wikipedia.